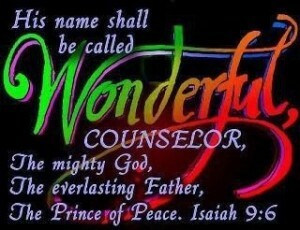 His birth is wonderful. There was none like it nor will there be another one like it. It surpasses everything ever heard of. God became a man, the Word became flesh. The God of creation a helpless, newborn baby. • The Son of God became the Son of Man that men might become the sons of God. Jesus made the blind to see, the deaf to hear, the lame to walk, the sick healed, the dead raised to life, and broken lives made whole. Demons fled from His presence, nature silenced at His command, food multiplied to feed thousands, water transformed into wine. John said that if all the things Jesus did were to be written down there would not be enough book to contain them. This is what those who witnessed Jesus’ miracles felt and said. Paul writes in Romans 5:8 “But God demonstrates His own love toward us, in that while we were still sinners, Christ died for us”. Jesus died so that we may live forever more. It is for this very purpose that Jesus came into this world, to die for our sins,to be the sacrificial lamb who takes away the sins of the world. For He (God) hath made Him (Jesus) to be sin for us, who knew no sin; that we might be made the righteousness of God in Him, 2 Corinthians 5:21. Jesus gave His life for us of His own free will. In John 10: 18 Jesus says “No man taketh it from me, but I lay it down of myself. I have power to lay it down, and I have power to take it again”. He is the perfect Lamb of God. He is the Lamb of God slain from the foundation of the world. Alleluia, salvation and glory, Honour and power, He is wonderful!